Welcome to intermediate weight lifting, Leaving the beginners level and advancing does hold different challenges, including your exercise program or lifting routine. 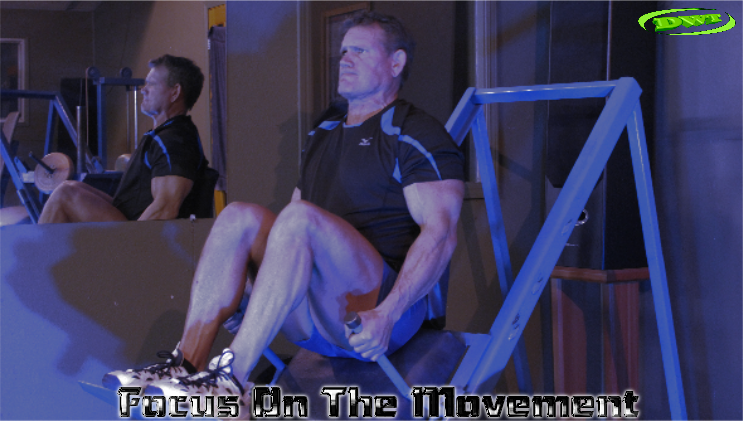 Focus should be aimed at the entire body, its weaknesses as well as its strong points. Using directionless routines often yields poor results at this new level, designing your own training routine, focusing on weaker body parts that you feel are lagging and exploiting these areas first; encourages new growth and strength in every athlete... so lets look deeper at routines and managing training stress. Managing Routines and Training Stress? Becoming lord and master over your body as an intermediate weight lifter often needs the management skills of two things. Learn to prioritize your training by training weaker areas first and often harder than stronger ones. The body places stress/resistance where it wants. This is where you have to be strict and focused on lifting form, this is up to you to force the issue and apply it where you feel it’s needed most. Often the exercise that are the most uncomfortable to preform is the bodies way of telling you these areas are the weakest. Naturally, the body will always try to protect itself against anything that is strenuous, of course were all different with our wants and needs, this is why regular training routines don’t always work for everyone. Intermediate weight lifting routines and programs are a dime a dozen, most people quit from boredom or lack of enthusiasm towards their routine, especially if your not getting what you want from it. In the beginning I used mediocre routines until I hit the intermediate level: at this point I began designing and making my own to suit the goal. Not only would I make my own, challenging myself while prioritizing weaker areas first. As this is a new lifting level new challenges will arise, continually cycling and changing the exercises and intensity helps with longer term training bumpiness such as: over training or training plateaus. often experienced at the 8-10 month mark. Monitoring progress and training cycle's with photos or an honest training partner assessing gains and training form is crucial to progression. If you’re routine is simply not working, or at least not to your satisfaction: change it! Use each routine to challenge yourself nothing more! Don’t become attached to them. The word ‘routine’: If you take it literally, means: to conduct an activity that you know so well that you can do it without thinking. Make nothing at this level routine. Try to become more instinctive not routine, focus on your strength curve and lifting form, and challenge yourself every week is how new goals are challenged and achieved. 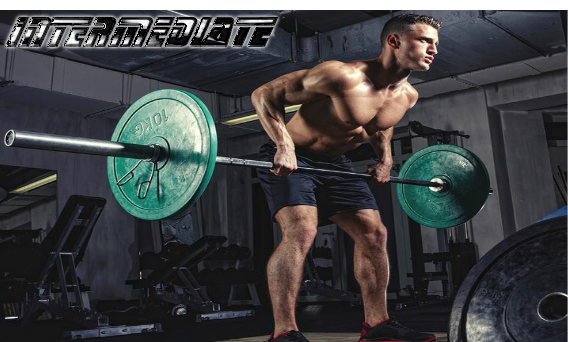 What is The Best Intermediate Weight lifting Routine? Always keep your mind open and experiment as an intermediate chances are-you’re not going to know it all. This takes years of dedicated effort to build experience and understanding of the exercise movements. The best intermediate routine is the one that you design, according to your needs. learn to develop the ability to listen to your body’s feedback from your training, be instinctive: adapt, design or change your training routine to how your body's responding to it. This is a new step in the beginning at this level, you can't expect to build all your strength and muscle from just one routine. Senior advanced lifters increase size and strength by pairing the routine towards the goal they set for themselves. Intermediate Weight Lifting Training Cycles? As conditioning allows, the new focus should be to cycle your training: these cycles should be changed every 6 to 8 weeks, at the outset. Forces your ability to master new change in exercises and intensity, within each rep and set interval of your training. 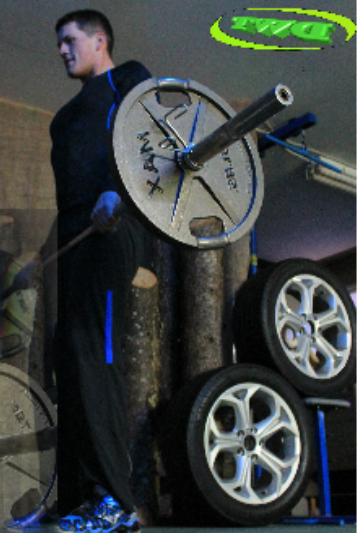 Increases new muscle fiber recruitment and shock value to the muscles, tendons and central nervous system. Cycling your training also helps discourage training plateaus. Use the right training cycle and be specific with your Goal and how you plan to achieve it. Intermediate weight lifting involves changing cycles, you can focus this intention in different ways to produce different results, ultimately helps you achieve your goal faster. Your next cycle change-up could be 6 to 8 weeks of strength training. Perhaps the cycle after, you could focus on building muscle size. If you feel some isolation work on certain muscle groups is needed for the next cycle to even out weaker areas, this might be in order. Or maybe you want to schedule the next cycle to increase endurance or muscle shape. The whole idea here is to give muscles and joints a break from the continuous exertion of one type of training stress. Regardless: whether you’re a male or female, the body seems to respond best to cycled intervals. This of course does not mean to say; if your getting what you want from your training routine then obviously 'stay with your program'. If you’re more interested in training as a maintenance program making some improvements once or twice a week; the 6 to 8 week workout change-up should still be encouraged. This 6 to 8 weeks is designed by weightlifters to break up old routine monotony, while keeping creativity and interest efforts up, with new exercises and changing contraction levels. Also add rewards for your achievements, this actually inspires new growth and enthusiasm in your training. In other words: change the record - add different music and some fun! The muscle, central nervous system and mind are critically linked, increasing the strength of this link is important as an intermediate. A big part of Intermediate weight lifting is about developing the the ability to connect, this does take time but, it should become a regular practice as your training advances. Trying to use maximum weight in each of your lifts and ignoring this fact; probably has more to do with training the ego, match the training to the goal and (avoid becoming one of these people)! The mind muscle connection has a lot of say in strength and physique development. = results, Keep this link strong in each rep throughout workout duration. At the intermediate weight lifting level: There’s three parts to every workout you have. Once you’ve completed your work out, this is only part of your training for each day. Your work out still continues for a day or two after; if you’ve trained hard enough at this level. First: muscle need to be excited and stimulated fully. 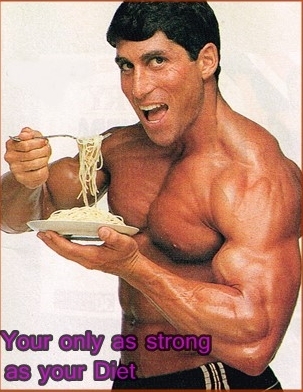 Second: good meal planning and proper nutrition are essential for muscle recovery and growth. Third: a proper night’s sleep, a minimum of eight hours for muscle tissue repair and growth to occur. Many of life’s superstars in bodybuilding or other lifestyles of weight training; started out with less: even much less than physical perfection towards their body’s and training achievements. What you are starting out with today is not what you’re going to finish with. If you talk to professionals of their sports and fitness lifestyles, it was not all roses, and sunny days for them. They had to work, and work hard for their achievements! Often these people are the same as you and I, the only difference is: they found something they love and became passionately persistent and courageously determined to be the best they could be. Even ‘Arnie’ in his heyday on the stage was not perfect. He knew other competitors that were stronger than him in certain areas. Is The Muscle Contraction Important? Having been at weight training over several decades, I’ve seen many ideas and opinions come and go. Some of these hold true to form, while others do not. For some reason - some like to complicate it. The first thing and the only thing; as simple as this will sound that a muscle can do is: ‘contract’! The level/intensity and angle that you can force them to contract at, takes time and experience at the intermediate weight lifting level. So yes, to answer the question is muscle contraction important in intermediate weight lifting? It is: it's a determining factor at any level of advancement. What are the different types of muscular contractions? The word given to the two different groups of contractions throughout any range of motion is: Isotonic. This is where the isotonic contraction or tension remains basically unchanged, but the muscles length of moving through a full range of motion does change. Lifting an object at a constant speed is an example of an isotonic contraction. There are basically two types of isotonic movements or contractions. Concentric contraction - in this type of contraction muscle tension rises to meet the resistance then remains the same as the muscles shorten. This is usually done against the greatest part of the resistance, meaning; while pulling the weight up or pushing the weight away. The concentric force of the muscle contraction is the positive and contracting phase of the first half of each exercise, as positive force is made in the repetition. This is where strength and muscle size is created... if enough sets/ reps and intensity/resistance is applied. Eccentric contraction- this is where the muscle lengthens due to the resistance being greater than the force the muscle is producing. Meaning: as the weight is being lowered to its starting point from a pressing or pulling motion. The eccentric portion of motion is the negative or releasing phase of the second half of each repetition performed. This is where muscular endurance, density and control are created. This isotonic action is generally most responsible for the soreness you feel the next day, but is important in each repetition. Isometric contractions: Are a third type of contraction where the muscle or particular group of muscles are held in a contraction and not moved; but stay stationary or static in position for a full flex often increasing the pump while simultaneously stimulating a endurance-based contraction. This equates to squeezing the affected muscles for 1-2 seconds at the top of each concentric repetition. This pump helps stimulate muscle endurance, separation, visual quality and overall density. But when I say squeeze the muscles... I mean: squeeze like hell forcing them to really contract! Take the time to digest the things you've read here, try to learn one or two things each week and apply them to your workouts. Don’t try to digest everything all at once, it’s too much, come back and reread, ask a question if you want (contact me ). Try to avoid discouragement and don’t give up, all that you’re working towards is worth it. I encourage and wish you the best on continuing to find the motivation to and (go for it), at the intermediate weight lifting level.